A passionate choice for those who feel unique and look for something surprising. 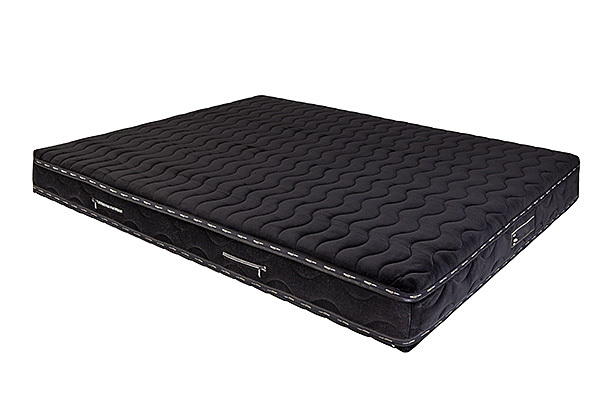 Our clients have always told us that Persono mattresses are so beautiful that it just seems a pity to hide them under a bottom sheet or a mattress protector. 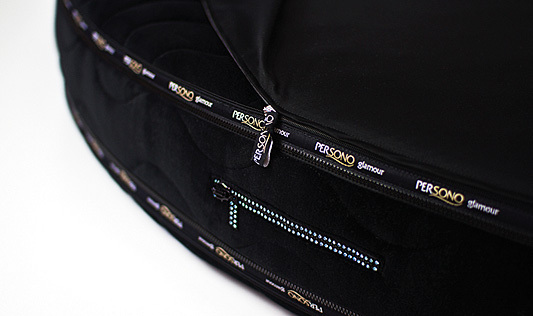 This is the reason why we have developed and would like to present you with our new Persono Glamour Concept, with its “Built-in sheet” system. 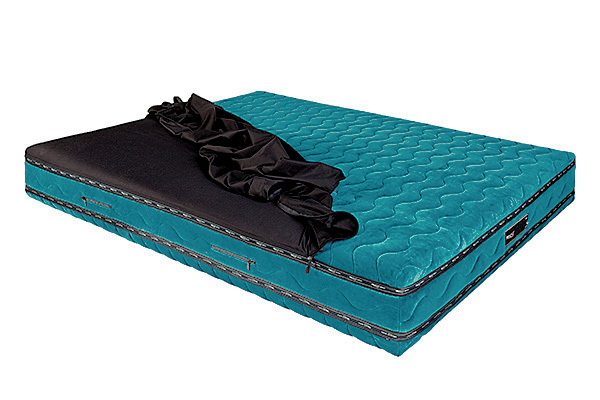 Your mattress now becomes a striking addition to your bedroom decoration. 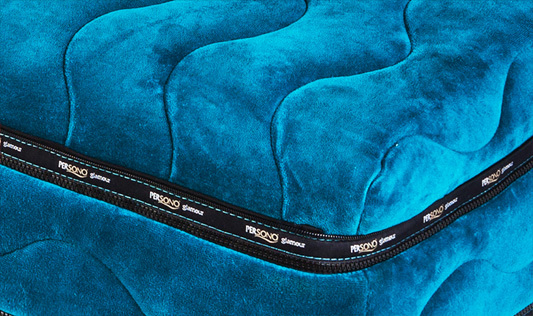 The Persono “Built-in sheet” innovation allows a complete view of the side of the mattress, which turns it into a design piece. IT’S A PITY TO HIDE SUCH BEAUTY. 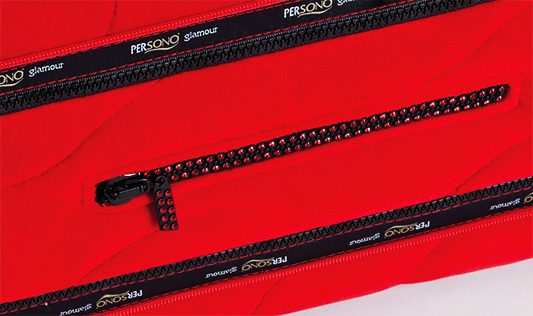 MADE WITH SWAROVSKI® ELEMENTS zippers, are also functional with four side pockets that can be used to hold personal objects. 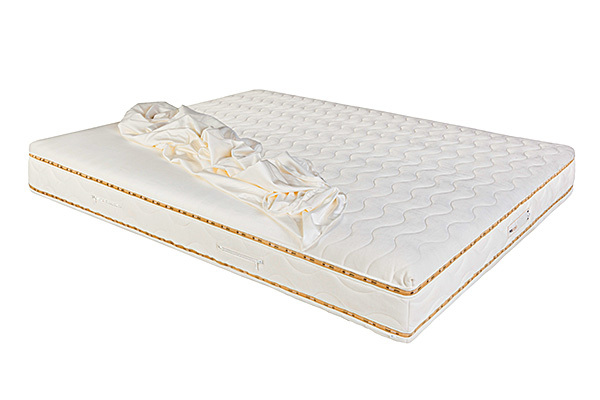 The mattress protector and the bottom sheet always in place, with no wrinkles. 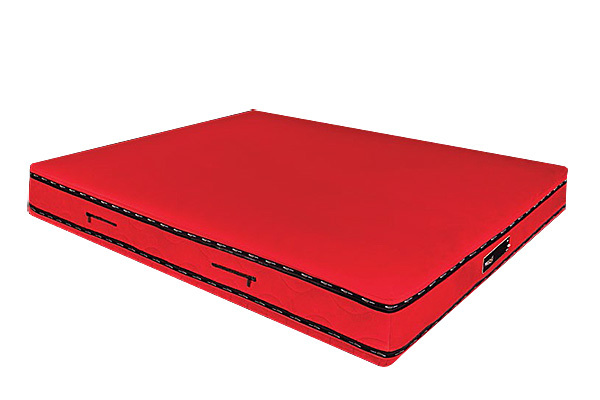 All Persono Glamour Concept mattresses are provided with three sheets and two mattress protectors. All covers are quilted and have fire retardant properties. 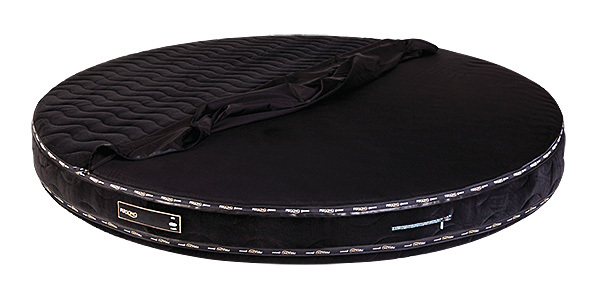 Your Persono Glamour Concept mattress is also available in round shape and with all cover options.